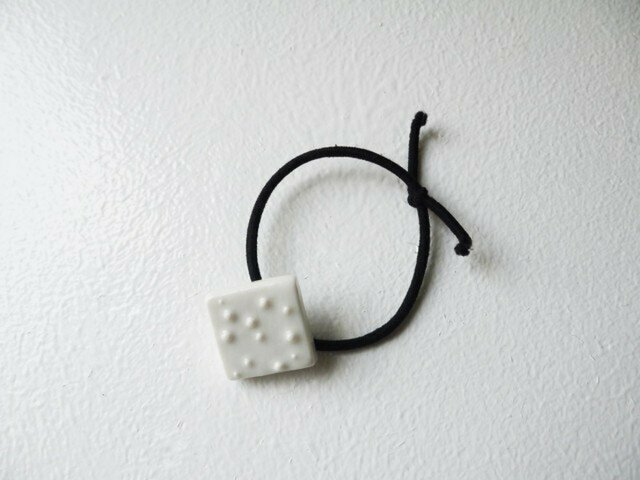 This is a band for hair band made by porcelain. I draw the design, so it's only one. I used transparent glaze and fired 1260℃. The texture of porcelain is smooth. It is strong, but if you hit it to something, it would be cracked. I put circle design slip, so it is hubbly on the surface.